Imagine setting up your Google Places page for your business. 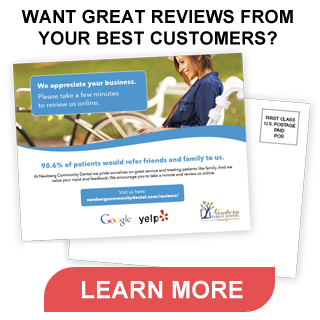 Imagine working with your patients and social media outlets in order to get a variety of good – even great – reviews. Imagine that you had, over a substantial amount of time, accumulated over 70 wonderful reviews. Now imagine that those reviews, much like Kaiser Sose in The Usual Suspects, simply…disappeared. Yes, this really happened to a small business owner with whom we work on a regular basis. Google Places is essentially a localized listing for your small business that can be compared with the former importance of having an ad or listing in the telephone book. When someone searches for a “dentist in Portland, OR,” this geographical information triggers Google to provide businesses that are geographically relevant to that search term. This is oversimplifying things a bit, but that’s the basic purpose of a Google Places page. A Google Places business page also helps you to control information about your business, making important updates to basic information and encouraging prospective and current clients to interact with your business online – including leaving valuable reviews about their experiences. This particular Google Places nightmare started as it usually does – there were too many Google Places pages for one business location. Our client wanted the one with 70+ reviews to be featured on his website; however, reviews from a different Google Places page by the same business name were featured. At Verticalwerks, we encourage our clients to focus on one Google Places page in order to have one localized search page for clients to find and leave reviews. Having only one Google Places page also helps clients find the correct and most recent updates to your business without confusion. If there are multiple Places pages – all with varying location details – a potential client could call a phone number or visit an office that no longer belongs to you, becoming frustrated and moving on to a competitor. Since we’ve worked with Google Places for several years, we made different requests based on our experience in order to keep the Google Places page with 70+ reviews and suspend the extra Google Places pages. Through several emails back and forth with Google Places, we requested that the two Google Places pages be merged in order to save the reviews but get rid of the extra page. And all of those 70+ reviews simply disappeared, as if they had never existed at all. There is a lot of power in a good review (and even more in 70 good reviews). This little Google Places Nightmare had us stumped, plunging us into the stages of grief. First, there was denial – surely the reviews are just a little behind the merge itself and will show up in a day or two. Then there was anger at the Beast that Google has become – for example, there’s nobody to call when it comes to Google Places technical issue…just the mire and swamp of the Help pages. Although we have emailed and searched and torn our hair out, there’s actually very little we can do. According to those Google Places Help pages (and the answers to our emails), this is known as data loss. This is also a known issue at Google- along with others – in the Google Help pages regarding reviews. Since Google compiles so much information from a variety of sources, certain elements – like reviews – can get lost once they try to reconcile information, including merging two different Places pages. Like with anything else worth trying, there are definite risks and benefits when it comes to dealing with Google Places for your small business. The essential reminder in this case concerns who owns information about you and your small business. This case of the lost reviews is a perfect example of losing information that you have no control over, which is the case when it comes to any outlet, including Google, Yelp, Facebook, and Angie’s List to name a few. However, if you incorporate information into a website, then you own it and control it. That’s partly why, at Verticalwerks, we encourage clients to have a website with testimonials throughout. That’s not to say that local listings like Google Places pages aren’t important, because they are – these listings make a substantial impact on search rankings and help clients find your small business. To avoid some of the risks, there is an extended benefit of having someone like us in your corner to deal with it all – then you don’t have to deal with Google by yourself.